30 May 1815 – The East Indiaman Arniston is wrecked during a storm at Waenhuiskrans near Cape Agulhas with the loss of 372 lives and only 6 survivors. She had been requisitioned as transport (troopship) and was underway from Ceylon (now Sri Lanka) to England repatriating wounded soldiers. Her loss was controversial in that she did not carry a marine chronometer, at that time a comparatively new but expensive navigational instrument. As a result of this lack she could not determine her longitude accurately and from an incorrect assessment of headway assuming she was rounding Cape Point when she was actually rounding Cape Agulhas she turned north to proceed up the west coast and ran aground. 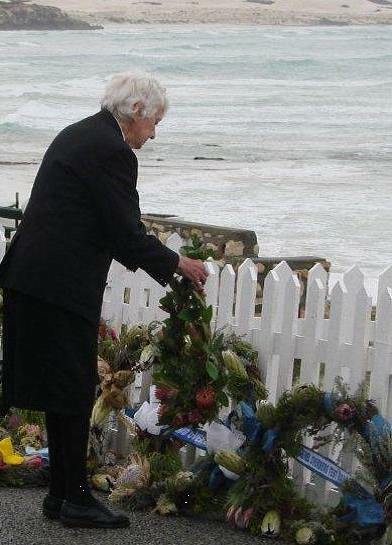 Notwithstanding inclement weather, more than a hundred guests attended the Memorial Service to commemorate the sinking of the Arniston 200 years ago, at Waenhuiskrans in front of the Arniston Hotel on Sunday 31 May 2015. 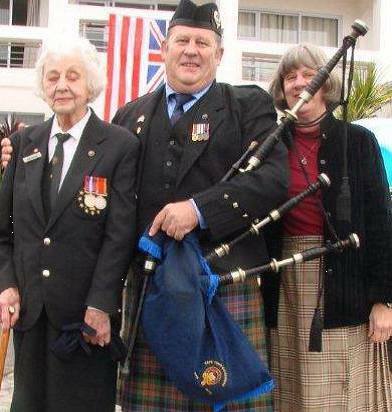 Of the twenty wreaths that were laid, Marshal Smuts Shellhole Life Member Moth Daphne Foster-Sutherland represented the Memorable Order of Tin Hats (MOTH’s) at the event. Commemoration of the event lasted the whole weekend and our old friends the Cape Town Caledonian Pipe Band performed throughout; the British High Commissioner attended on the Saturday. 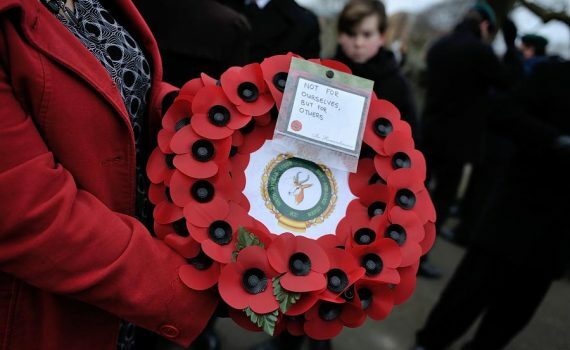 On completion of the service all the wreaths were collected and taken by three fishing boats to be laid to rest at sea behind the breakwater. Two flares were then fired followed by a two gun salute and to conclude the service, an eight bell ringing of the Ship’s Bell was performed. Story by Charles Ross for the South African Legion based on information by Glen Knox, SA Naval Museum and Lgr Peter Napier, Chairman Cape Town Branch of the South African Legion of Military Veterans who also provided the photos.